You buy Counter-Strike: Global Offensive for Steam. Region of activation: China, Mongolia, Republic of Korea, Taiwan, Cambodia, Vietnam, Philippines, Brunei Darussalam, Malaysia, Singapore, Indonesia, Hong Kong and Macau. Acquiring a game from another country, we do not give any guarantee of its performance. You can try to activate and run via VPN at your own risk. Counter-Strike: Global Offensive (CS: GO; English-Counterstrike: Global Offensive) is a multiplayer computer game developed by Valve and Hidden Path Entertainment. 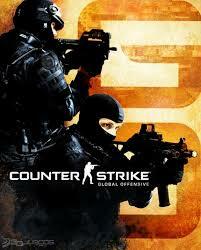 The last main game in the series of games Counter-Strike; Like all the games of the series, it is devoted to the confrontation of terrorists and special forces. The output on a PC running Microsoft Windows, on Mac computers and Xbox 360 and PlayStation 3 game consoles, took place on August 21, 2012. In 2014 it was released on Linux, and in 2016 - it became available, under the backward compatibility program, on the Xbox One. Love gifts? Leave a positive feedback after the purchase and write in a private message request for a gift. Within 24 hours I´ll send you a game for Steam. Всё работает отлично! Конечно были проблемы с активацией очень долго активировал, но зато работает, Спасибо!